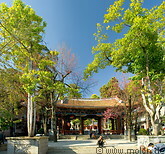 Photos of Dali's old town, which is located at the foot of the Cangshan mountain on the west side of the Erhai Lake. Dali was set up during the Ming dynasty in 1382 as the capital of the Dali kingdom. Today only the south and north gate towers are left intact. 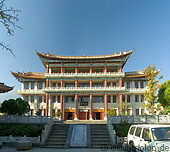 Dali is a pleasant town with well-preserved traditional houses of the Bai minority.